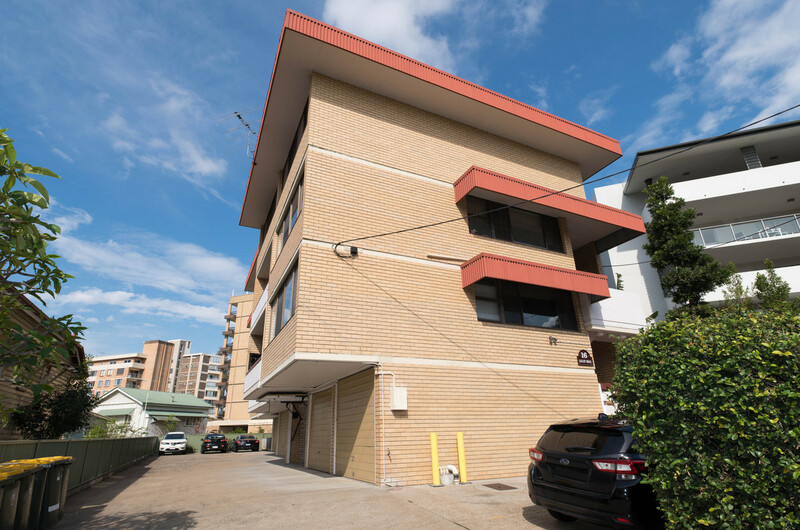 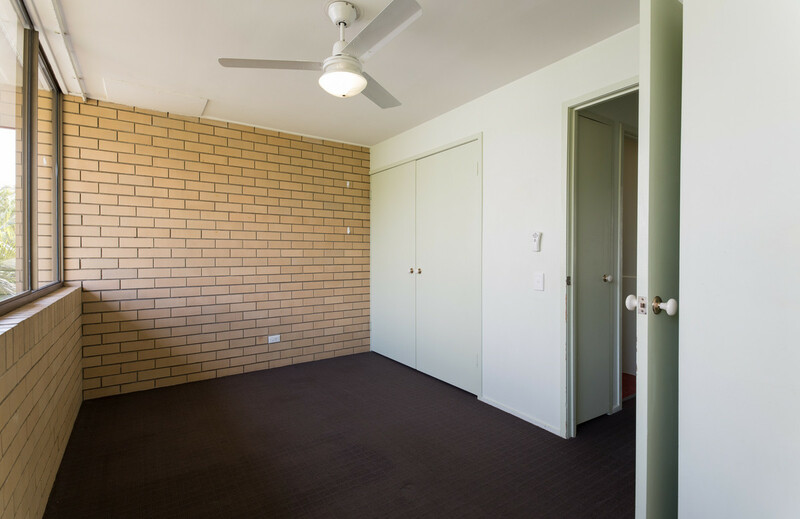 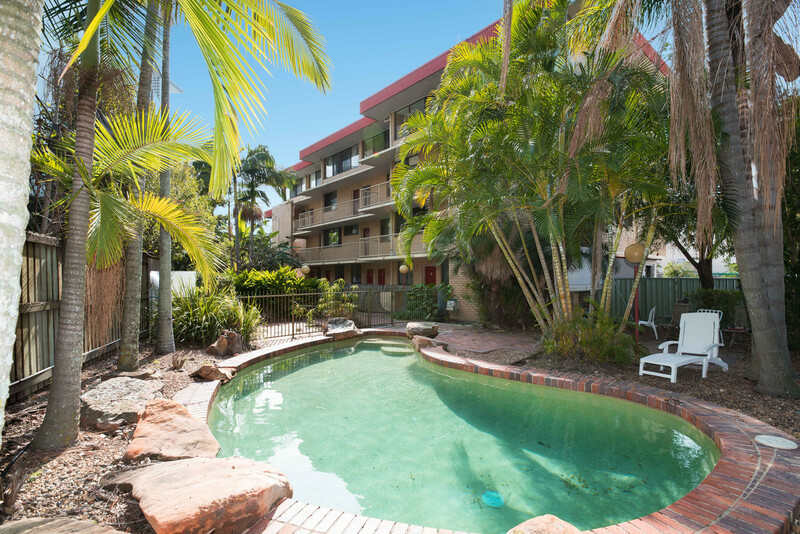 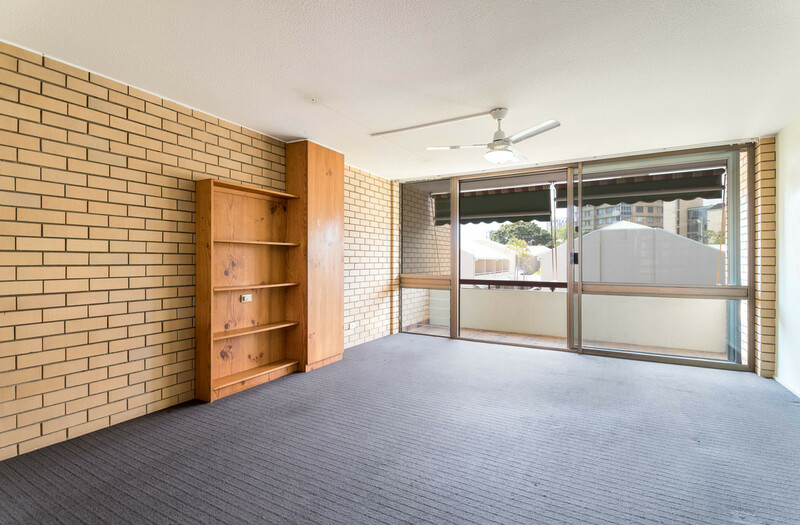 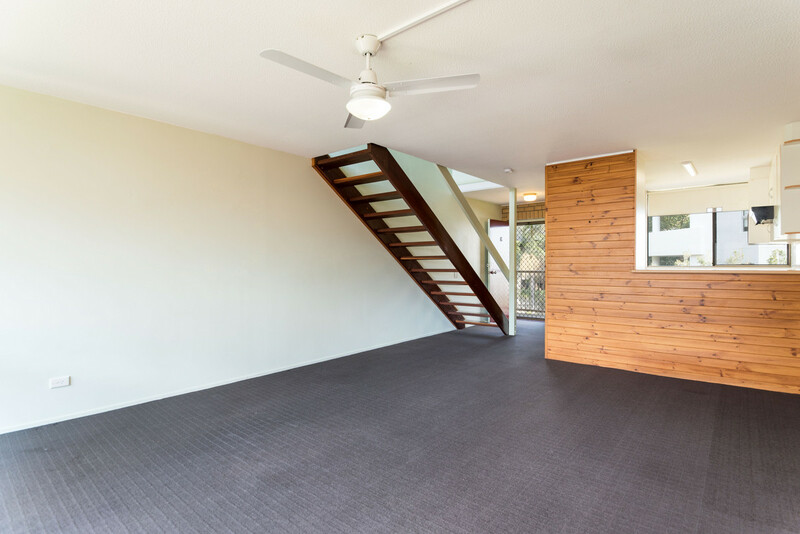 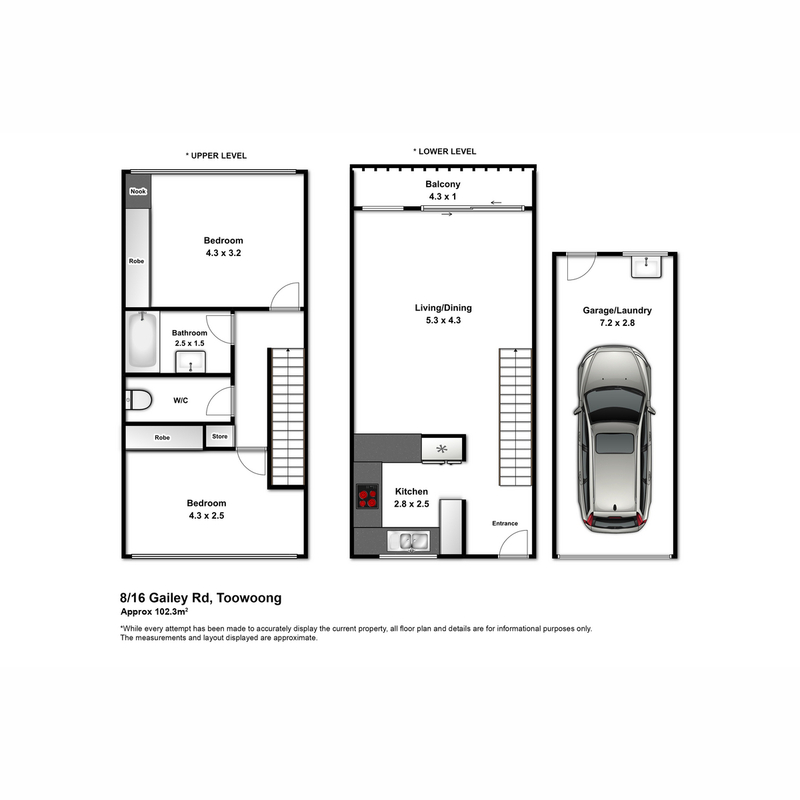 Over the top two floors of a brick unit block where Toowong meets St Lucia, this two level apartment has views of the city from the living room, balcony and master bedroom and is just minutes from Toowong Village, station, two CityCat terminals and the University of Queensland. 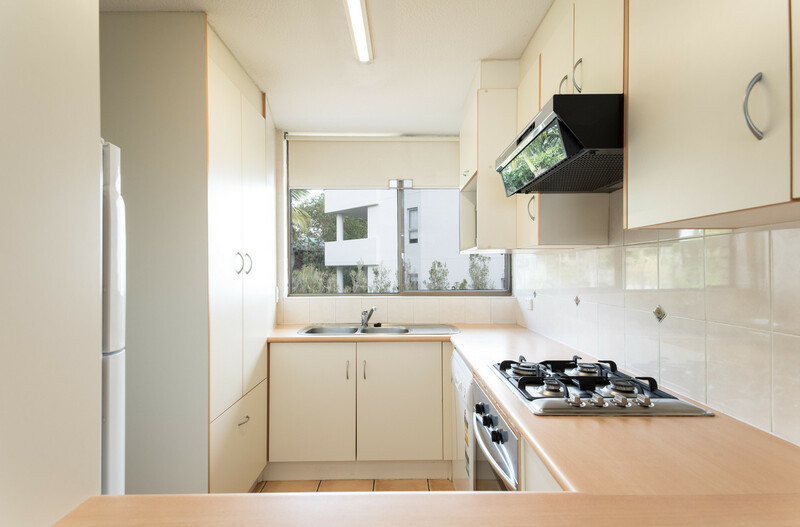 On the first level, a spacious kitchen has a servery through to the large, open plan living area which opens to the balcony. 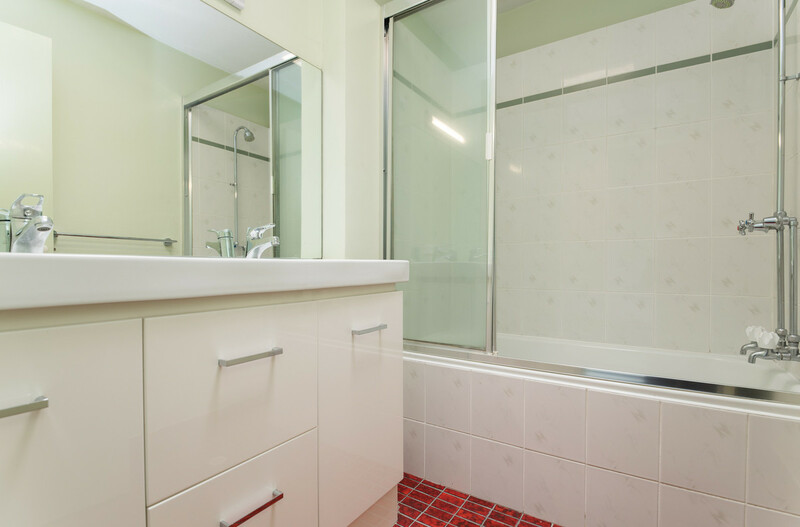 Upstairs, both bedrooms are large and feature built-ins and the partially renovated bathroom has a bath/shower combination and separate toilet. 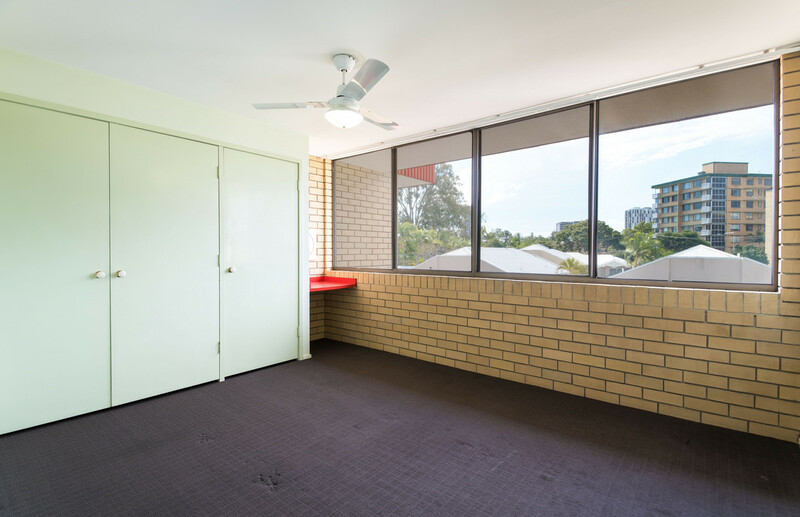 On the ground level, a large lock-up garage hosts the laundry and provides room for additional storage in a secure space. 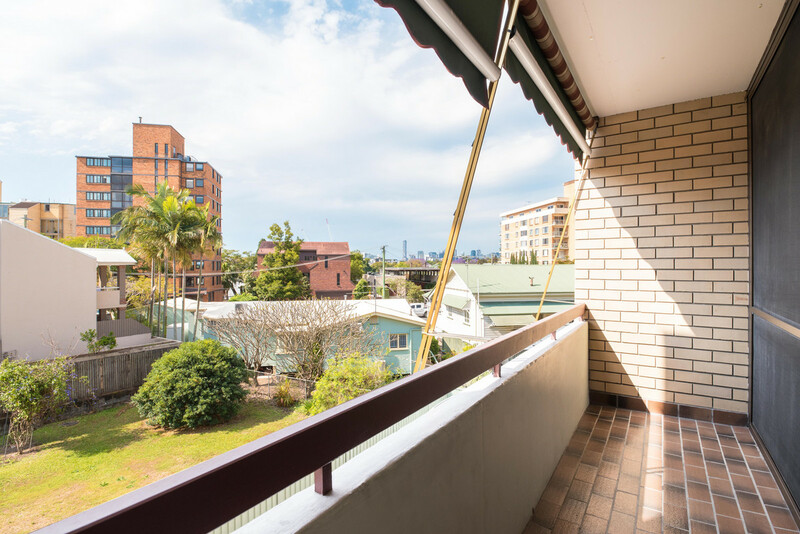 The position is well-serviced by bus routes and has direct access to bike paths making it a breeze to get wherever you need to go. 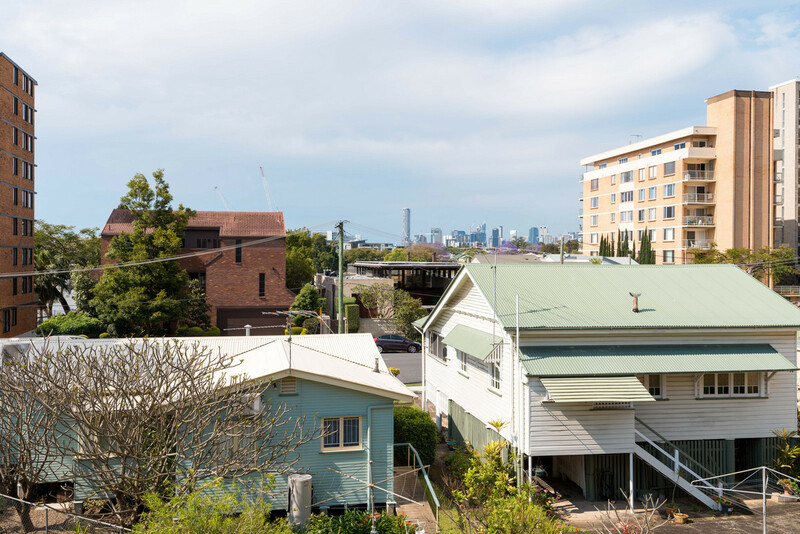 There’s great opportunity to add value here through smart, cost-effective updates to create a modern, stylish home with great layout and separation coupled with a convenient location and city views to boot.